Here is one of the layouts from my Paige's Pages 12 class at Big Picture Classes! 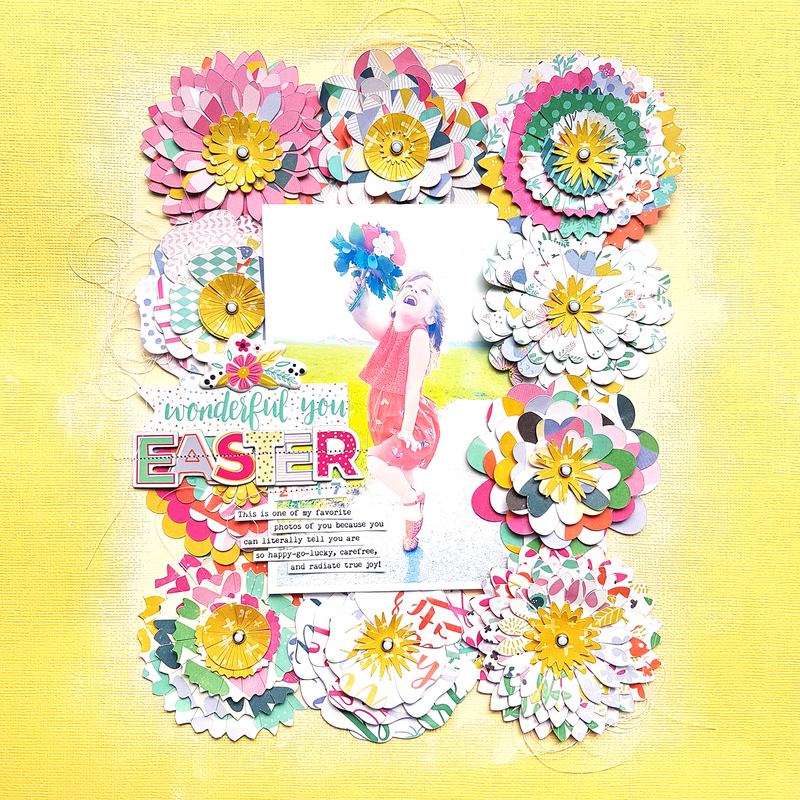 DESCRIPTION: I wanted to create a whole bunch of layered patterned paper flowers and use them on a layout and this is result! JOURNALING SAYS: This is one of my favorite photos of you because you can literally tell you are so happy-go-lucky, carefree, and radiate true joy! HOW TO: Check out Paige's Pages 12 to watch the start-to-finish process video! Question: How you do feel about "styled" photos like the one below? Do you love them? Hate them? Indifferent? I loveeeeeeeeeeee this (and 'styled' photos too!)!!! LOVING that photo of Jane, the colors and the flowers!!!! GORGEOUS!!!!!!!!!!!!! !